In a first time move, the decision was made by the Murrumbidgee Local Health District (MLHD) which operates health facilities in Wagga Wagga, Griffith, Temora, Hay and other regional NSW towns. Jill Ludford, Chief Executive Officer (CEO) of the MLHD, said the facilities must set an example for communities. “The statistics are alarming with seven in 10 adults in the MLHD either overweight or obese and one in 10 with diabetes and rising,” Ludford said. The decision was also made in support of teachers and other educators trying to encourage children to follow healthy diets. “The research evidence is very strong for the benefits gained from reducing consumption of sugar sweetened drinks,” Ludford said. “Moreover, research by the Physical Activity Nutrition Obesity Research Group, University of Sydney shows 69 per cent of grocery buyers support actions to reduce their consumption,” Ludford said. 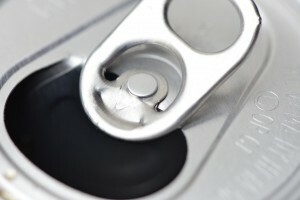 The removal of all vending machine soft drink will occur in consultation with staff and unions across the coming months.